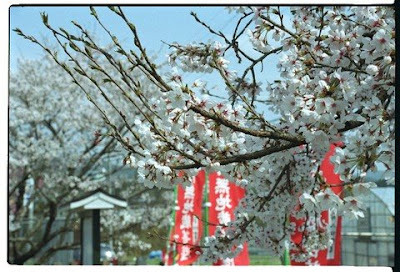 The Cherry Blossoms were very dear to Saigyo, a priest-poet in the Heian Period. 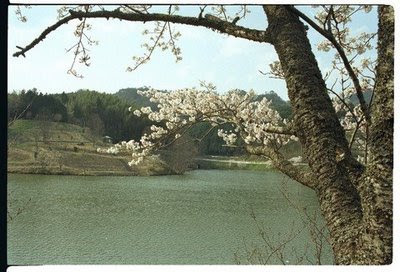 Here I want to show you our lake and some poems of Saigyo. Warrior Norikiyo Satoh left his worldｌy life on October 15, 1140. His Buddhist name was Saigyo. and gazes at the flowers to his heart's content. and recalls the days of his past. Live with the cherry blossoms. Die with the cherry blossoms. When one hears the name Saigyo, cherry blossoms come to mind. about these spring flowers during the course of his life. his mind seems to be taken into another world. Among the scattering petals, Saigyo saw a sacred world. he continued to sing of cherry blossoms until his death. It was day 16 of the second lunar month of the year 1190. Saigyo was 73 years old. It is said that he died at the Hirokawa temple in Kawachi 河内 in central Japan (now Osaka).
. Banana leaves and transience .
. 竹馬 stilts and memories . having become what it is.
. Basho and Saigyo . 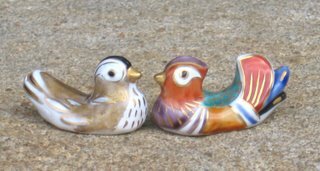 Some sources place the exact day on February 15 or 16, others on March 23, according to the use of the Asian or the Western Calendar. February 15 is also celebrated as the day when Buddha Shakyamuni entered Nirvana and is auspicious to die around this date. Born Satō Norikiyo (佐藤義清) in Kyoto to a noble family, he lived during the traumatic transition of power between the old court nobles and the new samurai warriors. After the start of the Age of Mappō (1052), Buddhism was considered to be in decline and no longer as effective a means of salvation. These cultural shifts during his lifetime led to a sense of melancholy in his poetry. As a youth, he worked as a guard to retired Emperor Toba, but in 1140 at age 22, for reasons now unknown, he quit worldly life to become a monk, taking the religious name En'i (円位). 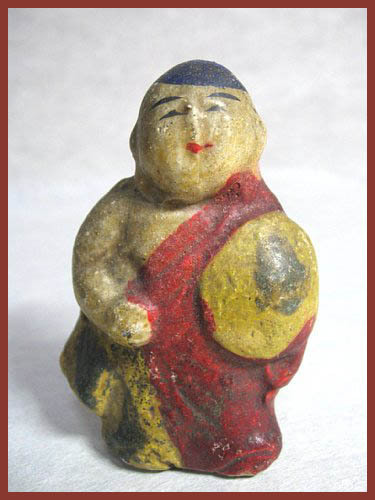 He later took the pen name, "Saigyō" meaning Western Journey, a reference to Amida Buddha and the Western paradise. He lived alone for long periods in his life in Saga, Mt. Koya, Mt. 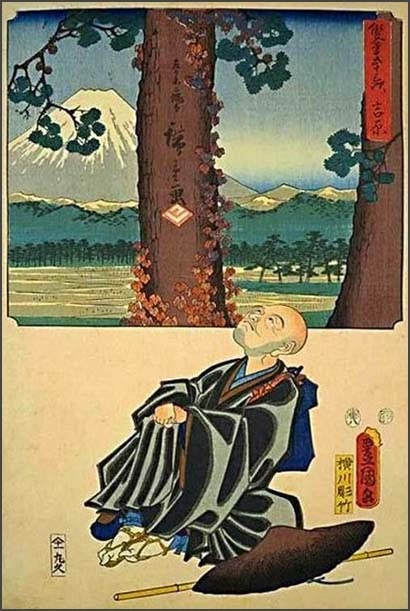 Yoshino, Ise, and many other places, but he is more known for the many long, poetic journeys to he took to Northern Honshū that would later inspire Basho in his Narrow Road to the Deep Interior. He was a good friend of Fujiwara no Teika. 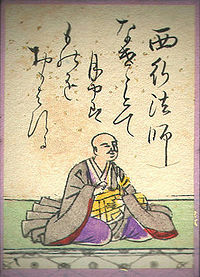 Some main collections of Saigyō's work are in the Sankashū, Shin Kokin Wakashū, and Shika Wakashū. He died in Hirokawa Temple in Kawachi Province (present-day Osaka Prefecture) at age 72.
. Nakasendoo　中山道 The Nakasendo Road . 十六日桜 - There are a few in the temple gardens of Japan. Ryoo-0nji Temple (The cherry blossoms of Izayoi) .. 龍穏寺(十六日桜).. In Matsuyama town at the temple Tentoku-Ji 天徳寺. With many photos about Yoshino Mountain. Very extensive material ! Kunisada ga / Hiroshige ga. Thank you so much, Lary. Thank you for your lovely site. I walked through falling cherry blossoms a few days ago at a Zen retreat at Grailville in Ohio, USA. It suddenly strikes me how many of the masters 'suffered' from loneliness and bore this burden by focusing on the beauty of their natural surroundings. This hokku was written in the 3rd month (April) of 1813, when Issa is fifty-one, so he is hoping to live until he's eighty. Two months earlier he received half of his father's house and land, though he is spending most of his time on the road visiting students in various towns near his hometown, so on one level Issa is probably hoping to live many more years so he can make a new life and start a family in his hometown. However, there is almost surely a more specific reason why Issa wishes for exactly twenty-nine more years of life. This reason is indicated by "because of" and is clearly stated by "I, too," a phrase that seems to refer to the Buddha, who was said in East Asia to have died and experienced parinirvana or "complete" nirvana at the age of eighty on the 15th of the 2nd lunar month -- at a time, in Japan, when the cherry blossoms are in full bloom and beginning to fall. 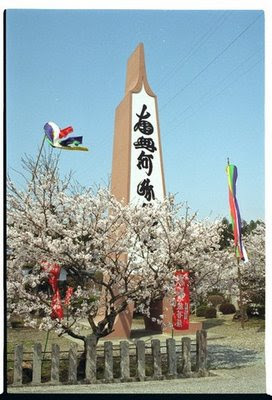 Among scattering cherry petals, temples around Japan carry out important memorial services on this day. Issa therefore wishes to die at eighty at the time the cherry blossoms are beginning to fall so he can feel closer to the Buddha, whom he loves and deeply respects. Issa isn't simply expressing the wish to see many more cherry-blossom seasons. He wants to live longer for the sake of eventually dying together with the Buddha under the blossoms at the same age as the Buddha. In actuality, of course, Issa died at age sixty-five after his house burned down and he was forced to move into his barn during the coldest part of winter. Human to think of me when I am gone.